3600401 HDF15 HYUNDAI HDF15 Diesel Forklift HDF series. Spare parts catalog. Service Manual. 3600402 HDF18 HYUNDAI HDF18 Diesel Forklift HDF series. Spare parts catalog. Service Manual. 3600403 HDF20-II HYUNDAI HDF20-II Diesel Forklift HDF series. Spare parts catalog. Service Manual. 3600404 HDF25-II HYUNDAI HDF25-II Diesel Forklift HDF series. Spare parts catalog. Service Manual. 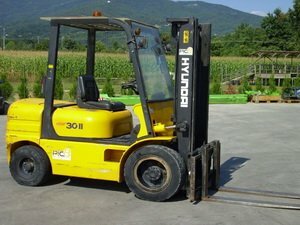 3600405 HDF30-II HYUNDAI HDF30-II Diesel Forklift HDF series. Spare parts catalog. Service Manual. 3600406 HDF35A HYUNDAI HDF35A Diesel Forklift HDF series. Spare parts catalog. Service Manual. 3600407 HDF45A HYUNDAI HDF45A Diesel Forklift HDF series. Spare parts catalog. Service Manual. 3600408 HDF35A-II HYUNDAI HDF35A-II Diesel Forklift HDF series. Spare parts catalog. Service Manual. 3600409 HDF45A-II HYUNDAI HDF45A-II Diesel Forklift HDF series. Spare parts catalog. Service Manual. 3600410 HDF50A HYUNDAI HDF50A Diesel Forklift HDF series. Spare parts catalog. Service Manual. 3600411 HDF70A HYUNDAI HDF70A Diesel Forklift HDF series. Spare parts catalog. Service Manual. 3600412 DX20 HYUNDAI DX20 Diesel Forklift HDF series. Spare parts catalog. Service Manual. 3600413 DX25 HYUNDAI DX25 Diesel Forklift HDF series. Spare parts catalog. Service Manual. 3600414 DX30 HYUNDAI DX30 Diesel Forklift HDF series. Spare parts catalog. Service Manual. 3600415 HDF15-3 HYUNDAI HDF15-3 Diesel Forklift HDF series. Spare parts catalog. Service Manual. 3600416 HDF18-3 HYUNDAI HDF18-3 Diesel Forklift HDF series. Spare parts catalog. Service Manual. 3600417 HDF35-3 HYUNDAI HDF35-3 Diesel Forklift HDF series. Spare parts catalog. Service Manual. 3600418 HDF45-3 HYUNDAI HDF45-3 Diesel Forklift HDF series. Spare parts catalog. Service Manual. 3600419 HDF50-3 HYUNDAI HDF50-3 Diesel Forklift HDF series. Spare parts catalog. Service Manual. 3600420 HDF70-3 HYUNDAI HDF70-3 Diesel Forklift HDF series. Spare parts catalog. Service Manual. 3600421 HDF80-3 HYUNDAI HDF80-3 Diesel Forklift HDF series. Spare parts catalog. Service Manual. 3600422 HDF15-5 HYUNDAI HDF15-5 Diesel Forklift HDF series. Spare parts catalog. Service Manual. 3600423 HDF18-5 HYUNDAI HDF18-5 Diesel Forklift HDF series. Spare parts catalog. Service Manual. 3600424 HDF20-5 HYUNDAI HDF20-5 Diesel Forklift HDF series. Spare parts catalog. Service Manual. 3600425 HDF25-5 HYUNDAI HDF25-5 Diesel Forklift HDF series. Spare parts catalog. Service Manual. 3600426 HDF30-5 HYUNDAI HDF30-5 Diesel Forklift HDF series. Spare parts catalog. Service Manual. 3600427 HDF50-7 HYUNDAI HDF50-7 Diesel Forklift HDF series. Spare parts catalog. Service Manual. 3600428 HDF50-7S HYUNDAI HDF50-7S Diesel Forklift HDF series. Spare parts catalog. Service Manual. 3600429 HDF70-7 HYUNDAI HDF70-7 Diesel Forklift HDF series. Spare parts catalog. Service Manual. 3600430 HDF70-7S HYUNDAI HDF70-7S Diesel Forklift HDF series. Spare parts catalog. Service Manual.